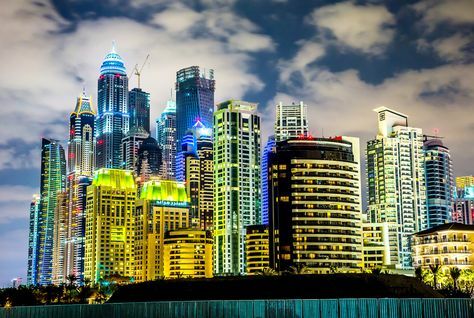 DUBAI: A surge in off-plan sales in the second half of the year made sure Dubai’s property market did not see a steep decline in transaction volumes in 2016 compared with the 2015 tally. Based on Reidin-GCP data, overall freehold transactions closed 2016 with 23,579 units against 2015’s 24,326 — a dip of only 2.3 per cent. In both November and December, more than 2,000 — this includes off-plan and ready — units apiece were sold, with the final month tallying 2,445 units. (June saw the highest sales tally, of 2,495 units, as per the data.) These had their impact in the overall value generated by freehold property sales through last year. The Reidin-GCP data estimates Dh18.04 billion in off-plan units being sold against 2015’s Dh20.18 billion. That amounts to a 11 per cent decline as against the 21 per cent experienced by ready properties — Dh18.22 billion from Dh23.12 billion in 2016. At the half-way mark last year, it was felt that the downturn would exact a heavy toll on off-plan buying activity, as secondary market values kept dipping and a tight economy made it difficult for potential buyers to commit. Developers with ongoing projects were going slow with project schedules, expecting this would slow down new supply hitting the market and remaining unsold. The thinking then was why should developers take on more off-plan launches and add to the uncertainty. But everything changed around the time of Cityscape 2016, when Dubai’s leading developers started aggressively going after mid-market options rather than stick with only luxury. By targeting mid-market in new or emerging locations, they were able to bring down the average selling price across the board, including for ready properties and those available in the secondary market. Off-plan launches in Dubai South, individual communities in Dubailand and Nshama’s Town Square all figure prominently in the 2016 tally. “Opening up of new suburban areas like Dubai South and Town Square and higher frequency of launches in IMPZ (now known as Dubai Production City) were instrumental,” said Sameer Lakhani, Managing Director of Global Capital Partners. “All of this indicates the structural shift towards affordable housing is well and truly underway.” (IMPZ off-plan transactions were up 67.6 per cent, selling 414 units to 2015’s 247.) According to market sources, the pace of off-plan activity picked up considerably in the fourth quarter, with even upscale tower launches offering more of studio units and thus keeping entry-level prices accessible for a wider base of investors. If Emaar came up with Emaar South launches at Dubai South, Damac offered a basket of mid-priced options within its Akoya project to go along with all the Trump- and Bugatti-branded luxury properties, it is building there. Developers, clearly, are mixing it up in tune with buyer sentiments. All through last year, 21,912 homes were launched as off-plan, with the second-half releases numbering 11,582 units. It will be interesting to see what the actual tally of handovers were during 2016. Initial estimates suggest that it would be less than 10,000 homes and more or less equal to what they were in 2015. These tallies are too limited to have a material impact on property values (and rents for that matter). Soft values fuel demand for Dubai Marina and Downtown. The mid-market space may be getting the limelight these days among investors. but certain high-end locations are still holding their own. Dubai Marina saw 862 apartments being sold off-plan in 2016 as against 702 units the year before. The Downtown also inched higher, with 1,193 units sold to the 1,1084 in 2015, according to Reidin-GCP data. When it comes to ready homes, Dubai Marina did see a 10.3 per cent dip in volumes — 1,672 last year against 1,863 units in 2015. Downtown too took a hit, with transactions on ready units down 22.7 per cent (585 units last year against 2015’s 757).